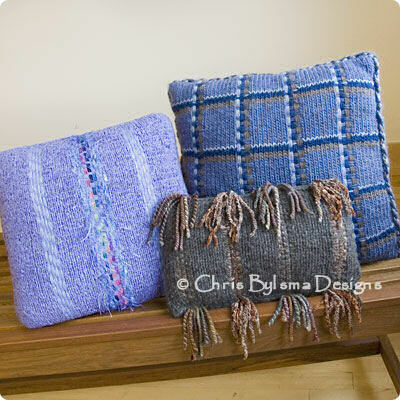 Combine basic knitting and easy “weaving” techniques with a few fabulous morsels…Voila! Your own artistic pillows to match your décor. Sizes: 19" x 19" and 15" x 10"